You've probably already all seen this, but a Facebook friend just brought it my attention, and I couldn' resist posting on it. It's a Gingerbread Typewriter made by Patti Paige from Baked Ideas in New York. 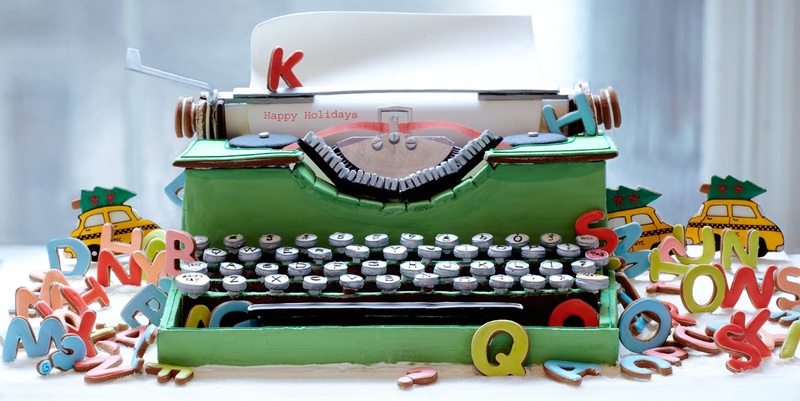 Apparently it's part of a gingerbread display to benefit City Harvest, at Le Parker Meridien Hotel in the Big Apple. 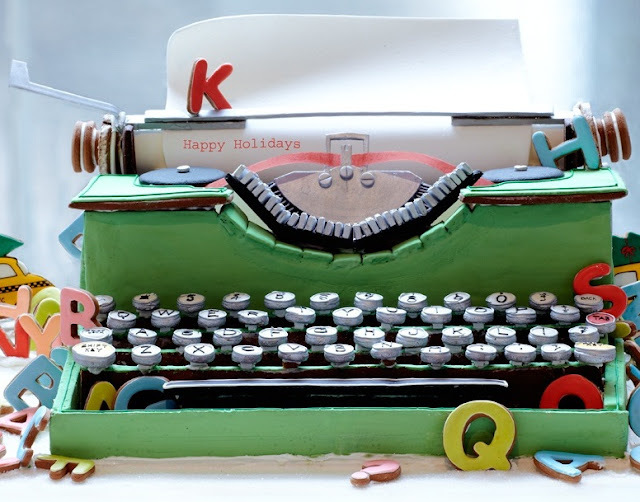 "First we made a model of the typewriter in cardboard, and then baked all the parts and crafted the roller, paper and metal keys out of sugar paste. The 'glue' is royal icing, and cookies, stacked up, are the inner supports. 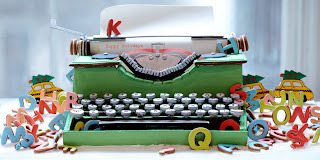 The keyboard letters are cookies, iced in ivory and trimmed in silver. The iced gingerbread alphabet letters are frolicking in the sugar snow, sometimes spelling out words (fun, skip, eat, joy). 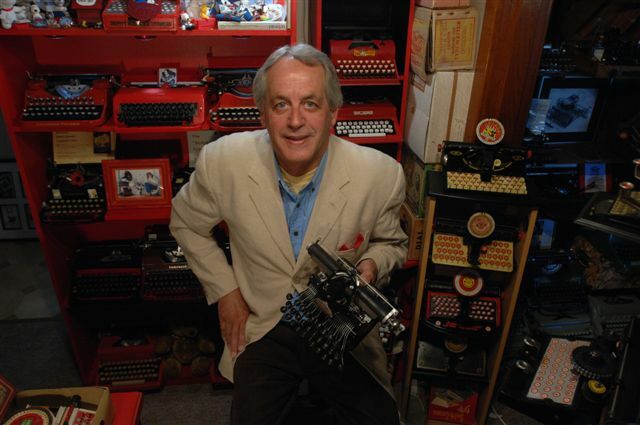 "I am glad we chose to make a typewriter. It is an image that is a reminder of a simpler time … wintery, happy and unexpected. I hope both kids and adults enjoy looking at it." 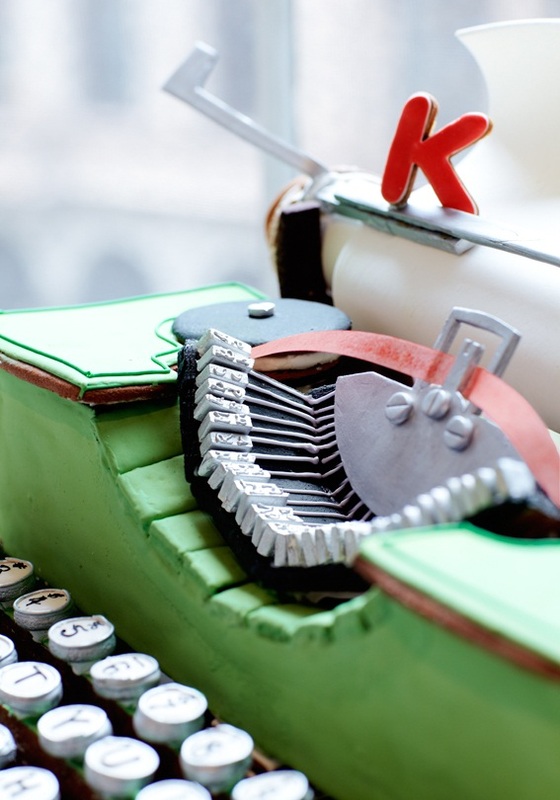 Not only did they use royal icing, but it's a Royal portable, I swear! This is pretty cool! Looks tasty.